U.S. based custom research and writing essays, term papers, research papers, book reports, thesis, and dissertations have been our specialty since 1994. 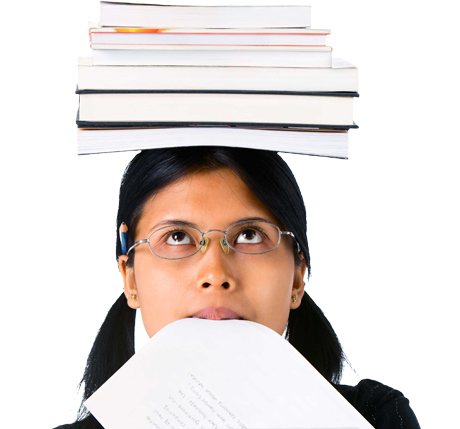 Writer’s block, time constraints, working to pay the rent and tuition, and poor time management all contribute to a student’s struggle and stresses of researching their term paper or simply developing the thesis statement to kick-start their assignment. Our team of academic writing professionals are here to help 24/7/365 with writing your example paper. We can write custom research papers on any topic, for any academic course level, and in any citation style (APA, MLA, Chicago/Turabian or Harvard). Allow us to write a brand new academic paper specifically for you and your topic. Our team has been researching and writing college and university papers for over 20 years. Our U.S. based writing experts will help you research your essay topic and write an example paper that will assist you to understand your assignment. The Paper Store has been assisting students since 1994! We are the only custom writing and academic research company in the industry that hires and trains college educated graduates. Each one of our professional academic writers graduated from a college or university located in the United States. Our team writes dozens of papers every month ranging from small three page undergraduate research papers to thesis length masters and doctorate level essays and term papers. Trust our over 20 years of completing custom academic papers. To meet our highest standards in preparing the best possible exemplary academic paper to assist students, our writers must complete our rigorous training program in the field of research and writing. Our writers possess close to 20 years of experience in writing exemplary term papers, essays, book reports, dissertations and theses, and any other custom writing need.